Joi Barrios-Leblanc has a Ph.D. in Filipino and Philippine Literature at the University of the Philippines and has served as Associate Professor and Associate Dean of the University of the Philippines College of Arts and Letters. She is the author/editor of more than a dozen books, among them, her canonical work, To Be a Woman is To Live at a Time of War, and Savage Stage: Plays by Ma-Yi Theater Company. For her contributions to literature, she was among the 100 women chosen as Weavers of History for the Philippine Centennial Celebration. In 2004, she received the TOWNS (Ten Outstanding Women in the Nation’s Service) Award in the Philippines. 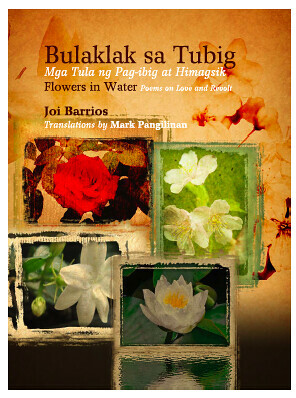 Joi received a 2012 Gintong Aklat [Golden Book] Award for Bulaklak sa Tubig: Mga Tula ng Pag-ibig at Himagsik, [Flowers in Water: Poems of Love and Revolt] from the Book Development Association in Manila. 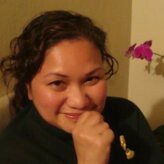 Joi has been invited to teach a course on Filipino theater, stand-up comedy, music, spoken word and rap, and dance in the diaspora. Texts will be studied in the context of Filipino American historical relations, identity discourse, globalization, and diaspora nationalisms. Budget permitting, we hope to schedule this course for the next academic year.